What Are the Benefits of Using Rice Water? What Are the Benefits of Rice Water? Most people who cook rice tend to just dump out the leftover water they used to cook it in, but you might want to stop yourself the next time you want to do this. Rice water is great for hair and skin since it is full of vitamins. In Asian, many women take advantage of the benefits of using rice water to keep their skin looking younger and their hair looking healthy. Keep reading to learn more about the how rice water can benefit you. Treat acne - Rice water can act as an astringent to help treat acne. It reduces the redness of acne while tightening the pores and healing the infected skin. Natural toner - The properties in rice water can help stimulate cell growth, improve blood flow and smooth out the skin. Just soak cotton in the rice water and apply to the skin. 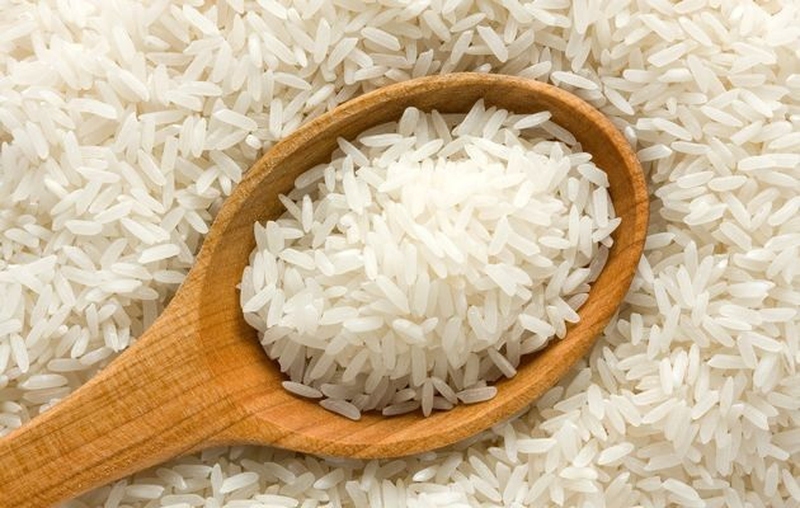 Eczema treatment - The starch in rice water can naturally treat some of the symptoms of eczema. Applying the rice water to your skin every day to get the relief. Soothe inflammation - Skin inflammation from rashes to even atopic dermatitis can be soothed by using rice water. Soaking in a warm bath of rice water twice a day can significantly reduce skin inflammation. Prevent hair fall - Rice water contains many amino acids. These amino acids help strengthen the root of the hair which will result in losing less hair on a daily basis. Add shine to hair - When used as a hair mask regularly, rice water can give your hair a natural glow. The inositol carbohydrate in rice waters maintains the hair's elasticity and can prevent hair damage. Anti-aging - As you age, your skin will begin to dull and you may even notice age spots. Rice water can help keep the skin looking more vibrant, youthful, and reduce the appearance of age spots. Heal burnt skin - When you suffer from staying out in the sun for too long, you want relief from the pain and irritation as quickly as possible. One of the benefits of rice water is that it can help your skin heal faster and even prevent sun damage of the skin. Nourish the skin - Using rice water as a natural exfoliate can provide additional nourishment to the skin. Because rice water can promote cell growth, reduce inflammation and tone the skin, it is one of the best natural ways to properly nourish the skin from the outside in. Tighten skin - When used as a facial massage, rice water can reduce skin pores. You will notice your skin feels softer and looks younger if you massage rice water on your face. Use as a conditioner - Rice water can help condition your hair and leave it looking beautiful. Substitute rice water for your regular condition by allowing it to sit in your hair for about ten minutes before rinsing with cool water after you have shampooed your hair. Use as a rinse - If you have been looking for a quick and effective way to give your hair a beautiful shine while also providing it with the nutrients it needs to stay healthy, then rice water is your answer. You can use rice water as a hair rinse twice a week which will give your hair a natural shine and leave it looking healthier. Cleanse the skin - When you include rice water into your beauty care routine, you will see an improvement of your skin. Rice water can be used to help cleanse the skin and leave it soft and radiant. Anti-Inflammatory - Just as one of the benefits of rice water is to help skin inflammation, it can be used to treat a number of other inflammations in the body as well. The amino acids, minerals, and vitamins in rice water act as a natural anti-inflammatory. Keep body temperature regulated - When you have a fever, you might want to skip the over the counter medicines. Rice water can help reduce fever and regulate your body temperature in a more natural way, so your body recovers from the fever faster. Treat diarrhea - Drinking rice water can help relieve diarrhea. This can be especially beneficial to younger children who have diarrhea as it can help reduce the number of times you have a bowel movement. Keep you hydrated - To help prevent dehydration and keep the body properly hydrated, try to consume rice water. Rice water can help replenish vital nutrients that are often lost when sweating, so you reduce the risk of becoming dehydrated on hot summer days. For constipation - While rice water can treat diarrhea, it can also help prevent the occurrence of constipation. Rice water is rich in fiber which helps promote the growth of healthy bacteria in the gut. When you have more healthy bacteria, you will have more healthy bowel movements. Improve muscle health - If you have been searching for a healthy way to increase your muscle mass, drink more rice water. The amino acids in rice water help keep muscles healthy and help strengthen them when consumed with regular exercise. Remove free radicals - The antioxidants, vitamin A, and vitamin C in rice water can help keep out free radicals from your body. Relaxation - One of the benefits of rice water is its relaxation properties. Soaking in a tub with rice water will help your body and mind relax which can reduce stress and anxiety. Energy boost - Instead of reaching for another cup of coffee, reach for some rice water to give your energy a boost. The carbohydrates and other nutrients in rice water increase your body's natural energy sources. Server responsed at: 04/24/2019 9:52 p.m.